YES! The Last of Us won! Only 139 days until that masterpiece is released! I hopefully am getting a Vita for Christmas or enough money to buy one so Crossplay for LBP 2, Shadow of the Colossus, and more in the future will be sweet! Also I already have the option to download tons of free games since Plus is amazing. I’m excited to try Gravity Rush, LBP Vita, Uncharted Golden Abyss and Tearaway next year. I hope I can find that 1 Year PS+ Bundle, though. I still am very hopeful for The Last Guardian also. I swear if we don’t get a release date or time by E3 2013 I think I’ll die. FIFA 13 beaten all the others!!!! Happy Holidays everyone and let’s hope we’re all still here on Dec.22! God, Ryumoron is a freakin’ stooge. Do these top write-ins for Most Anticipated games show we (typing as a PLayStation Plus member) have an interest in RPHs (in particular, for me anyway, JRPGs)? And Journey deserves every good thing it gets. It saddens me that my sister tells me of her classmates with PS3s who, somehow, don’t even know what Journey is. Blasted retail and their bigger focus. Definitely get the digital lead out, Sony! how about next time some prizes? 20 or $50 to spend on the PSN Store? 3 months of PS+? game codes to redeem? c’mon your Playstation FFS! you can get this stuff for free! Gotta say, I’m a little surprised to not see Little Big Planet 2 on there anywhere. Wow I had to do write in votes for half the categories because you all ignored so many good games. I wonder how different the results would have been if the voting was through the PS3/Vita (therefore more people would see it and vote) instead of a blog only some people visit. Assassin’s Creed 3 definitely was a squeaker, i.e., a fart. Apparently, gamers like the smell. I’m so disappointed in my fellows gamers for voting that piece of garbage as game of the year. I’m aggressive about how much I dislike AC3 to counter how much unwarranted praise it’s being given. Awesome, but sportchampions 2 ? How exactly did ACIII win GOTY, ohh, right, this is a popularity contest. Ive been disappointed by Assassins creed 3, it was not as good as I was hoping it to be. Journey is still my overall favorite game of the year. Cant wait for the Last of us! Now will you guys do the same as last year and offer discounts to the winning games? BLASPHEMY!!! 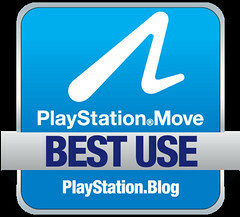 LittleBigPlanet PS Vita wins best Vita game, hands down. Its literally infinite games in one. Because other people’s opinion of a game that is different than yours means its wrong? How do people like you function with such a flawed way of thinking on a daily basis? Its quite funny how you think you are doing (anyone?) a service by calling it garbage as if it somehow undoes the actual vote by the majority of people. Real smart dude. One good thing about this blog, you have some easy laughs from what a few say on here and you don’t have to say a word they do it all by themselves. Though i agree with you that Ryumoau tends to voice his opinion more often that he should, somethings are better left not said. i.e. your comment, nobody likes a cyber bully.. I agree with @10. I finally finished Golden Abyss last night, and it felt like a grind to me. It was a good game. But there was way too many touch screen/gyroscope uses that it became very annoying and not fun after a while. I personally was not a fan of Bend’s last game either, Resistance: Retribution. Also: Asura’s Wrath. I still have trouble believing it came out this year (surprised me, seeing it in Game Informer’s Top 50). Man, Would’ve written that in, but I went with Spec Ops: The Line; I don’t play many FPSes, but the talk of its twist within its story compelled me to bump it up a vote. I’m just so surprised and stunned by how Uncharted GA beating out P4G. I mean Uncharted GA was good but not best Vita game good. I think Persona 4 The Golden or at the least Gravity Rush deserved best Vita game. After that I have no problem with the other awards except for the PS3 game of the year though. Since I’ve never played AC3 yet I can’t really say much, but I’m not sure if it’s game of the year material. I hope that Japan after seeing how much we love P4G over here, that they localize more Vita JRPG games. I’m still waiting for Tales of Innocence R over here. Bullies pick on innocent people who’ve done nothing to the bully. Bullies do it for the power rush. I don’t pick on innocent people. I defend them. I only bully the bullies and there ain’t a damn thing wrong with that. Ryumoaner has deserved every last bit of backlash directed at him. His karma is working through me and being sent right back to him… what else can I say… hope you understand. I agree with you there buddy. I’m curious to know how many voted for it. Will we get to see the how many votes each game got? Persona 4 Golden not #1? Absolute blasphemy, and a sad tearjerker for anyone who hasn’t played that game yet. Even if you’re not into RPG’s, it’s the greatest game on Vita out now. And the worst game of the year goes to Resident Evil 6.
and i’ll leave with that..
Let me guess: Next there will be posts saying SCEA must have rigged the poll and that’s why games like Uncharted and ACIII won. I personally tend to agree with the Vita GOTY, but while I didn’t like ACIII that much, I agree with all the top 4, but I won’t resort to saying other people’s decision to vote for that is stupid. I can respect the results and won’t act like a 8 year old, which I guess it too much to handle for some people. And I will never know truly if Tokyo Jungle is really that great of a game since no demo is available. I still hope to see a day where all PSN games and PS3 games will have demo’s on the store. The God of War Team would like to thank the PlayStation Academy for honoring us with the Silver in 2013-Most Anticipated. We will be looking to take the Platinum in PS3 Game of the Year next year, here we go! gives me a good idea of who frequents the blog lol. i think gravity rush should have been number one of the vita. sound shapes deserves that platinum for psn only…game is a masterpiece. i voted for super crate box for ps mobile games. it makes me sad that i havent been interested in psm games since release. I like this list, I don’t care if a game I don’t like is on here. I think we can all agree that the winners, whether or not they were our favorite games for that category, was a great game non the less! BioShock Infinite being that low on the list. Gravity Rush should have won best vita game. It is one of the best games I’ve played on any system. Cannot wait for the sequel. Ni No Kuni doesn’t even get a bronze? Sad. But no worries, they’ll still get a sale from me. hope fully they can psn studio’s to the list… I think tink create as well as many deserve their praise inthe sun. I was kinda shocked persona 4 didnt win, but always next year i suppose.:).. Congrat to all. 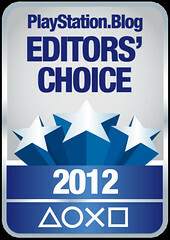 A game that has scored 84% on Metacritic is crowned GOTY 2012. Riiight. Maybe that says something about the poor state of the industry (and don’t start blaming the hardware for this). Congratulations PSN community, you’ve actually managed the impossible: You’ve made the VGA’s look legit! PERSONA 4 GOLDEN was the best game of the year. Not only for the Vita. Period. This Uncharted was nothing compared to it… only difference is how many people played Uncharted. Darn, no trophy for Ni No Kuni ! !